Evening of Thursday, March 7 – Club Assembly: 5:30pm at the Safety Village. Note that this replaces the Monday March 4th meeting. Evening of Wednesday, April 17 - Joint Club Meeting: 5:30-8:30 at Caboto. Topic: Gordie Howe Bridge Authority. Note that this replaces the Monday April 15th meeting. At our last Club meeting, we recognized 2 amazing members for their commitment to Rotary: Anil Chitte (40 years) and Bev Cyr (25 years), both recognized for their outstanding Service Above Self. 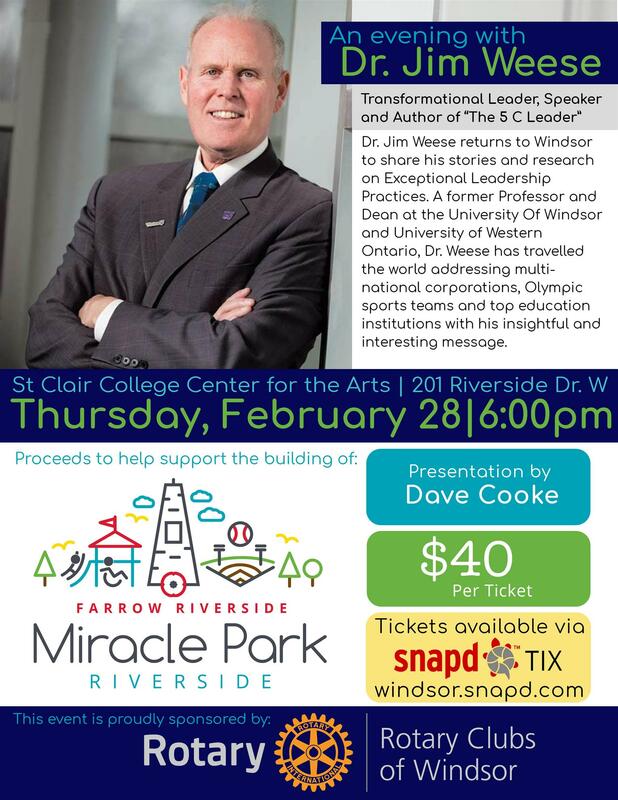 John Weese from Rotary Club of Windsor-St Clair encouraged everyone to get their tickets to the upcoming event, Miracle Park Fundraiser: An Evening with Dr. Jim Weese. If you haven't already - be sure to get your tickets now via Snapd: https://windsor.snapd.com/events/view/1220843 or get your tickets at the next Monday meeting or by calling the office: 519-253-6382. It was also the Youth Exchange auction - an event that our Club looks forward to every year! With Peter Hrastovec, Greg DeHetre and special guest DG Paul Sincock as auctioneers, everyone had a great time bidding on all different sorts of items! Many people took advantage of their Valentines Day shopping - and with all proceeds benefitting our exchange students and host families, why shop anywhere else? Click here to see more photos from this meeting. Alternatively, call the office at 519-253-6382 or get your tickets at the next Monday meeting. Ceasars Windsor, 377 Riverside Dr E.
falodun@uwindsor.ca or call her at 226 347-1565. Plastic bags are terrible for the environment. 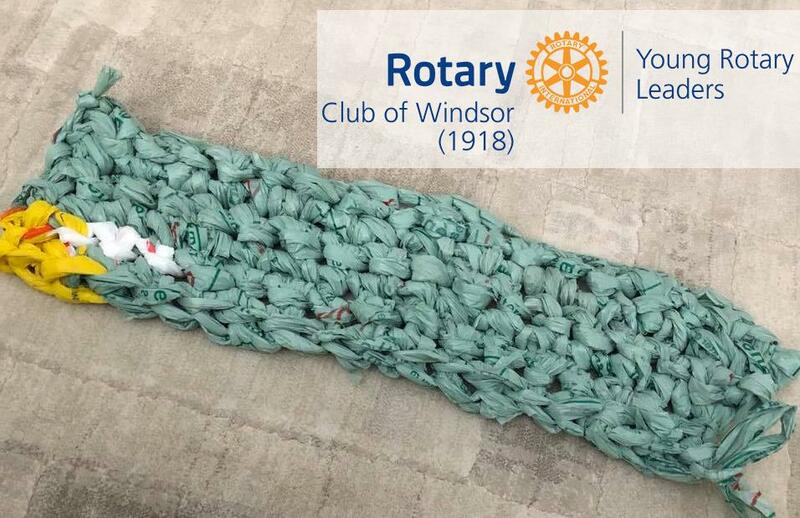 Do you have bags lying around?Rather than throwing them out, you can reuse them by crocheting them into multi-purpose mats (known as 'plarn' – plastic yarn). In particular plarn can be used as sleeping mats for people without access to shelter. As sleeping mats, they're more hygienic, water proof, easily transportable, and provide protection from the cold concrete. A great way to keep that plastic out of our oceans and landfills, too. Learn the three steps for the Mats for Hope project. Cut, Connect and Crochet. All are welcome. Please bring plastic bags you have collected. Handled bags are best (ex. Zehrs, Sobey, Home Hardware) Snacks and water will be provided for this afternoon of fellowship, learning and service! 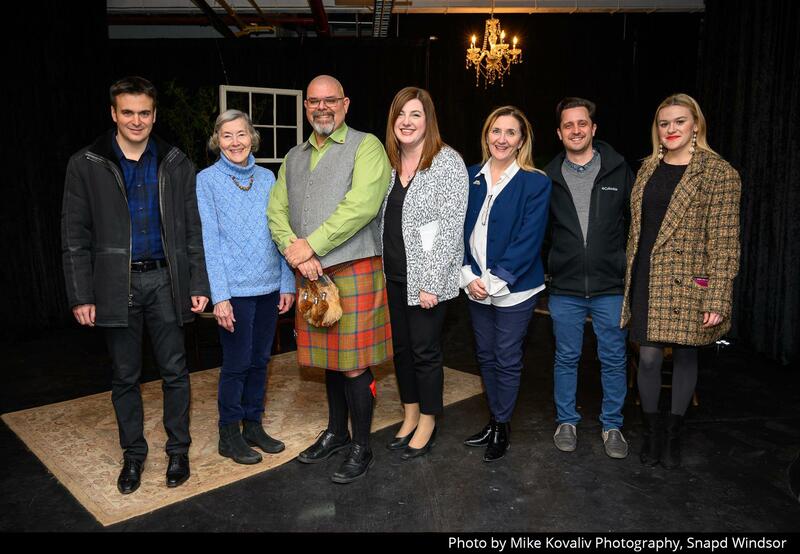 Thanks to everyone who participated in the Tell Your Story event held on Tuesday at The Roth Centre for Performing Arts, inside Sho Studios! Incredible stories written by some very talented students were shared. This project was put on by our Literacy Committee and partners Families First, Douglas Marketing Group and Literary Arts Windsor. Congratulations to the winning story writers - we loved hearing their words come to life! 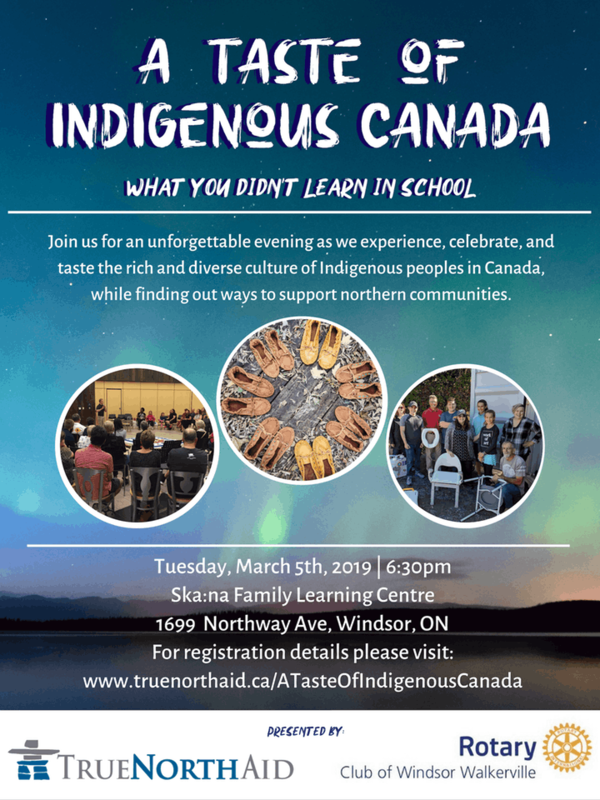 Register now: https://windsor.snapd.com/events/view/1220843 or get your tickets by calling the office: 519-253-6382 or at the next Monday meeting. Did you know that gifts of appreciated securities may create significant tax advantages for you depending on your financial situation, while also benefitting your community? For more information on donating gifts of stock to the Foundation Fund, please contact Treasurer Emma Bufton (eebufton@collinsbarrow.com) or Chair Don Marsh (donaldmarsh99@gmail.com). 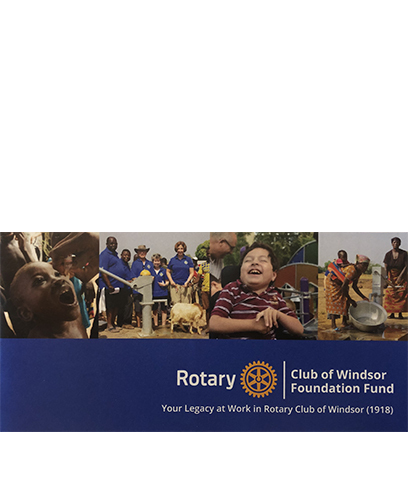 For anyone who does not have the Foundation Fund brochure, please contact the office and we'll mail you a copy. 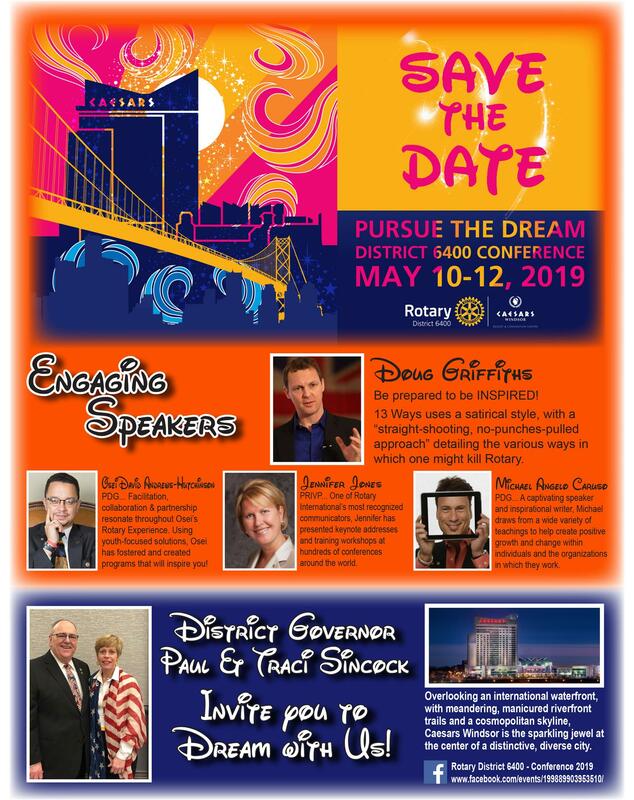 Click here to register via the District 6400 website. 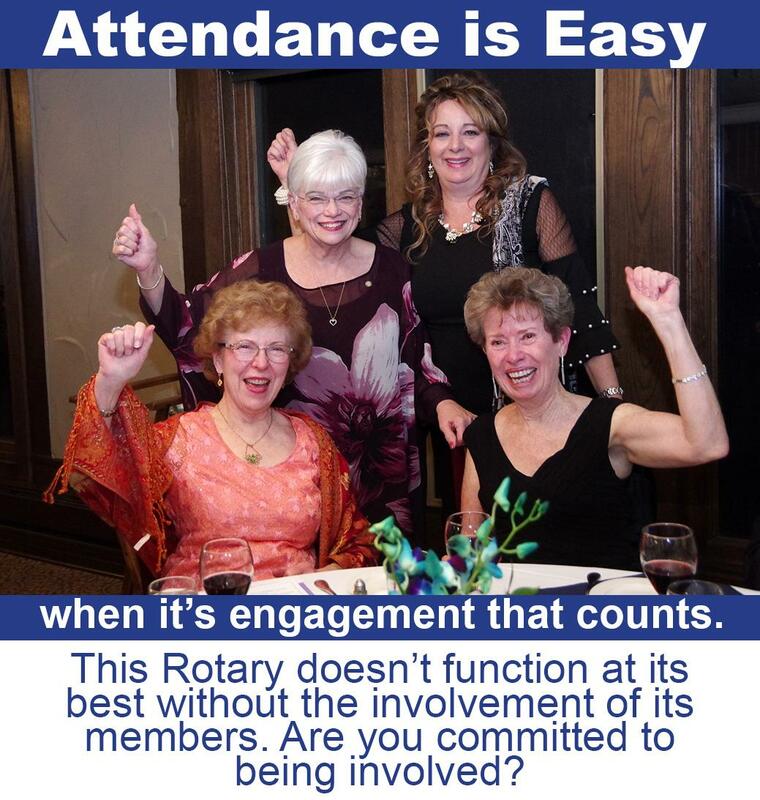 Be a part of the Club's significant fundraiser. 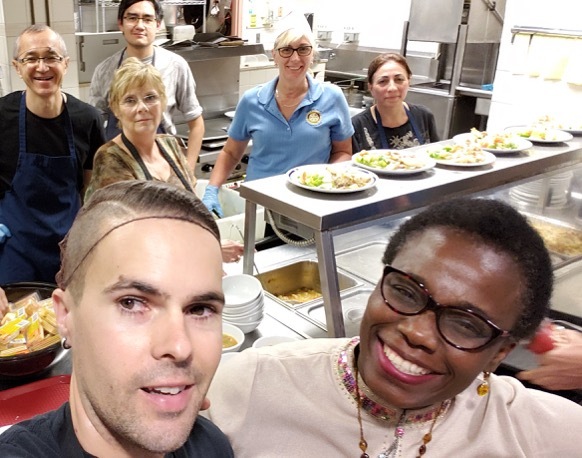 To volunteer please contact Coordinator Walter Willms at 519-966-7150 or walter.willms.windsor@gmail.com. He, or a designate, will be in attendance at every bingo. Many thanks to Gord Faas, Jeewen Gill, Margurite Reid and Michael and Walter Willms for working the Bingo on February 15th. They will have raised $1000 to support the Adult Assistance Committee. The NET BINGO REVENUE for January was $1,169.98. These funds are being used to support the work of the Adult Assistance Committee. Thanks to the volunteers who made this happen. The Battery Recycle Box Program is active. Please drop your used batteries, light bulbs, ink cartridges and other recycle items in the battery box at the back of the room.